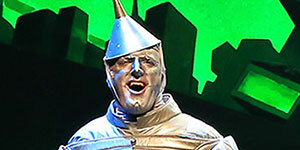 Broadway’s The Wizard of Oz recently performed at the State Theatre; the stunning set design, talented cast, and stellar orchestra breathed new life into the story of Dorothy Gale, Toto, and their wonderful adventure to magical Oz. 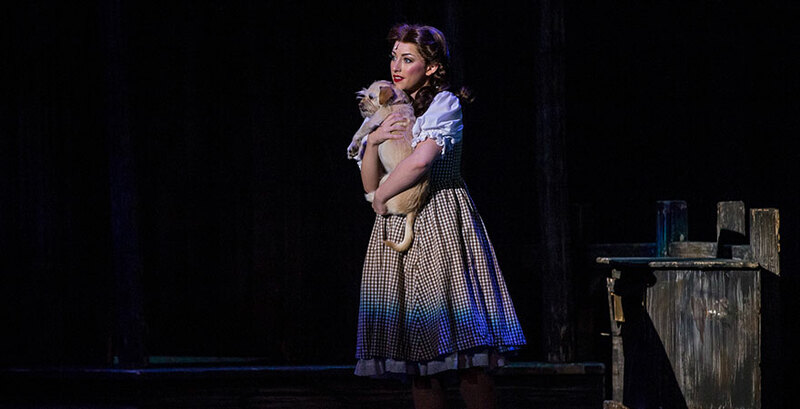 Dorothy is hounded by Miss Gulch (Emily Perzan) a well-connected Kansan who doesn’t like Toto because he "bites." Life without Toto isn’t possible, so she tells Auntie Em that she wants to go someplace where there isn’t any trouble as actress Kalie Kaimann sings a beautiful rendition of "Over the Rainbow." Before long a tornado threat has everyone scrambling; film clips depicting a tornado and the Gale house spinning added a dose of realism. Dorothy and Toto land in a strange new land and she tells him she has a feeling they aren’t in Kansas anymore and she’s right—they are in a dream world. 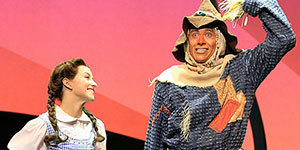 They arrive in Oz’s Munchkinland and are befriended by its citizens and Glinda the Good Witch (Ashleigh Thompson). 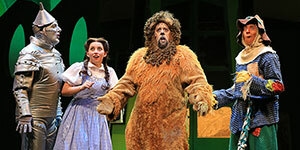 Glinda enters the stage via a round globe and her clothes are glittery; she becomes Dorothy’s mentor in the new world. The Wicked Witch of the East is dead after being clobbered by Dorothy’s house and the Munchkins sing an exuberant "Ding Dong! The Witch is Dead"— they adore Dorothy from the star Kansas! Glinda transports the magical and sparkly ruby slippers from the dead witch to Dorothy; however, Dorothy isn’t aware of their mega power. Dorothy just wants to go home and she’s advised to go visit the Wizard of Oz as the Munchkins and Glinda sing "Follow the Yellow Brick Road." The bright colors and uniqueness of the costumes along with the stellar singing made me want to go to Munchkinland. 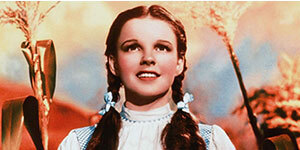 Everyone in her day life appears in her dream and along the way she meets the farmhands who are now the Scarecrow, Cowardly Lion, and Tinman; and of course we all know what they need (heart, brain, courage) so they set off with Dorothy to Oz as they all sing "We’re Off to See the Wizard." I always liked the journey to Oz better than the arrival there and this time around it made me think of Ralph Waldo Emerson’s quote "Life is a journey, not a destination." Trials and tribulations litter the yellow brick road including Miss Gulch who is now the Wicked Witch of the West; she locks Dorothy up for a bit until her comrades rescue her despite the witch's flying monkeys keeping guard. The monkeys were awesome as they flew in the air. The witch eventually melts and the quintet (including Toto) meet the wizard and he endows them with what they desire; he plans on getting Dorothy back home via a hot air balloon, but that plan fizzles out. It’s at that point Dorothy says "If I ever go looking for my heart's desire again, I won't look any further than my own back yard. 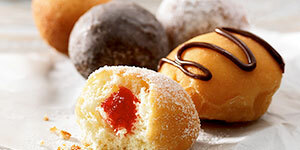 Because if it isn't there, I never really lost it to begin with." 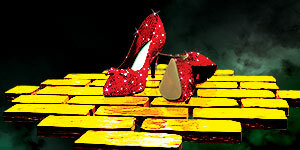 Glinda reveals that the ruby slippers can take her home with a few clicks. 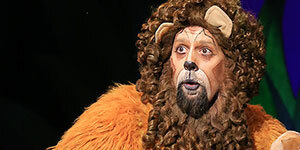 The production vibrantly brought the timeless message of this story to life in a unique way. It’s a story that will be 80 years old in 2019! And no matter how many times I see it live or as a movie, it never gets old.